In July 2014, Shotley Pier was put up for sale by its owners, Colchester-based East Anglian Renovations (EAR), with a price of £195,000. The pier was built in 1894 as a landing stage for a ferry from the tiny Suffolk village across the River Stour to Felixstowe, and Harwich in Essex and became a well known Victorian seaside landmark. In February 2017, campaigners pledging to restore Shotley Pier were given a boost when local MP, James Cartlidge, hailed their project as “brilliant” and joined villagers for a tour of the 122-year-old pier which could soon be given new life thanks to a five-figure funding boost. The following month, it was announced that community shares, at £25 per share and a minimum purchase of two shares, would be being offered to buy the 122-year-old Shotley Pier. The aim was to initially raise £100,000 to buy the pier from the current owner and then to start renovation work. The pier would be made secure and work would progress from the land side along the pier until it was completed. It was anticipated that a figure in the order of £350,000 would be needed to complete the renovation, over a three-year period. In November 2017, the historic landmark which played important roles in Suffolk before falling into disrepair seemed set for a return to use after community fundraising efforts reached a significant milestone. December 2017 – Another step closer to ownership for Shotley Pier Group! In December 2017, it was reported that Suffolk MP, James Cartlidge, had joined the campaign to save Shotley Pier as the community group hoping to save Suffolk’s only railway pier neared exchanging contracts. January 2018 saw HMRC approve the legal charitable status of the group, which meant that it could then benefit from Giftaid donations, increasing the amount raised by 25p in every pound. February 2018 – Congratulations to Shotley Pier’s new owners! In February 2018, the Shotley Heritage Charitable Community Benefit Society Ltd completed the purchase of the historic Shotley Pier – with the group then seeking volunteers and grants to complete its renovation over the next five years. Fingers crossed it’s second time lucky at Shotley Pier! 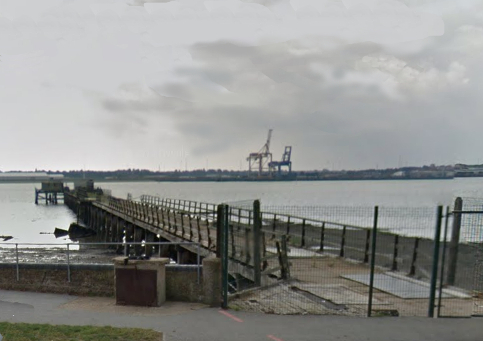 A way forward for Shotley Pier plans? Good luck to Shotley Pier as planning application is submitted!